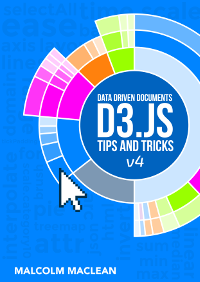 The latest version of D3 Tips and Tricks is out (New Years Edition). There's two versions of the simple line graph. One with little or no commenting and the other that is HEAVILY commented that people may find useful. Additionally, there is a zip file with the directory structure that I've been using for the examples and some of the example / data files as well. As time allows I will add to these. As appears to be working so far, just click on the link on the left on the main page and you can download the pdf from there. or go to the downloads page. Just a quick note as well... The process I am using to try and maintain a common point for downloading the pdf in drop box appears to cause it to fail to load the pdf when you go to download it the first time. DONT DESPAIR. Just reload and it appears. I will have to sort this out I know. I think I'll try to store it as a publicly accessible document in Google Drive in future releases. I have also started to learn how to host files in GitHub / Gist, so expect to see more there over time. Selecting a particular object or set of objects using the .filter function. Using Plunker for online development and hosting your D3 creations. This description is a fleshed out version of the one provided by Christophe Viau on Google Groups (https://groups.google.com/forum/?fromgroups=#!topic/d3-js/FBosXiTB9Pc). 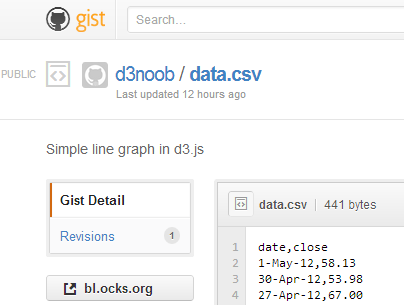 There you are a fresh faced d3.js user keen to share your work with the world. You set yourself up a GitHub / Gist account and put your code into a gist. Your graph is a thing of rare beauty and the community needs to marvel at your brilliance. Of course this is a breeze with bl.ocks.org. Once you have all the code sorted and any data files accessible, bl.ocks.org can display the graph with the code and can even open the graph in its own window. The person responsible for bl.ocks.org? Mike Bostock of course (wherever does he get the time?). 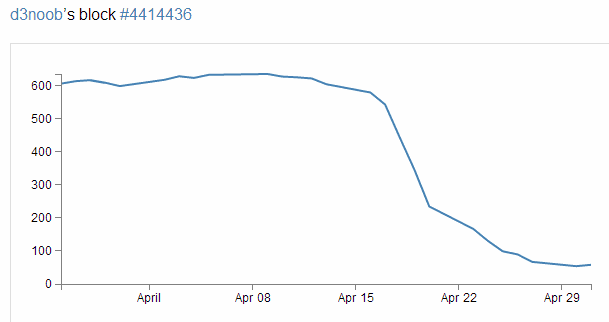 So clicking on the bl.ocks.org button on the gist page takes you to see your graph. So you think that will make a fine addition to your collection of awesome graphs and if you click on your GitHub user name that is in the top left of the screen you go to a page that lays out all your graphs with a thumbnail giving a sneak preview of what the user can expect. Aww... Rats! There's a nice place holder, but no pretty picture. Hang on, what had Mike said on the bl.ocks.org main page? Ahh.. you need to include a thumbnail.png file in your Gist! So how to get it there? Well Gist is a repository, so what you need to do is to put the code in there somehow. Now from the Gist web page this doesn't appear to be a nice (gui) way to do this. So from here you will need to suspend your noob status and hit the command line. The good news (if you're a windows user (and sorry, I haven't done this in Linux or on a Mac)) is that as part of the GitHub for windows installation a command line tool was installed as well! So you're going to use the Git Shell. Enough of the scene setting. Let's git going :-). Right, I'm going to describe the steps here in a pretty verbose fashion with pretty pictures and everything, but at the end I will put a simple set of steps in the form that Christophe Viau outlined on Google Groups. First you will want to have your image ready. It needs to be a png with dimensions of 230 x 120 pixels. It should also be less than 50kB in size. Now go to your public Gist that you have already set up and copy the link in the “Clone this gist” box. This will create a folder with the id (the number) of the gist in your local GitHub working directory. And there it is (Ooo... Look almost New Years!). Copy your thumbnail.png file into this directory. git commit -m "Thumbnail image added"
(I know it doesn't look like much, but this is a VERY simple graph :-)). Now for the real test. Go back to your home page for your blocks on bl.ocks.org and refresh the page. Oh yes. You may now bask in the sweet glow of victory. And as a little bit of extra fancy, if you move your mouse over the image it translates up slightly! The steps to get your thumbnail into the gist aren't exactly point and click, but the steps you need to take are fairly easy to follow. As promised, here is the abridged list of steps that will avoid you going through the several previous pages. It will add a folder with the gist id as a name (i.e., 4414436) under the current working directory. Commit it to git: git commit -m "Thumbnail added"
Just to finish off. A big thanks to Christophe Viau for the hard work on finding out how it all goes together and if there are any errors in the above description I have no doubt they will be mine. The following post is a portion of the D3 Tips and Tricks document which is free to download from the main page. What's the first thing you get told at school when drawing a graph? So, time to add a couple of labels! What we want to do is to add a simple piece of text under the x axis and in the centre of the total span. Wow, that does sound easy. And it is, but there are different ways of accomplishing it, and I think I should take an opportunity to demonstrate them. Especially since one of those ways is a BAD idea. Lets start with the bad idea first :-). We will put it in between the blocks of script that add the x axis and the y axis. //  PUT THE NEW CODE HERE! Well, it certainly did what it was asked to do. There's a 'Date' label as advertised! (Yes, I know it's not pretty.) Let's describe the code and then work out why there's a better way to do it. The first line appends a "text" element to our canvas. There is a lot more to learn about "text" elements here; http://www.w3.org/TR/SVG/text.html#TextElement. The next two lines ( .attr("x", 265 ) and .attr("y", 240 ) ) set the attributes for the x and y coordinates to position the text on the canvas. The second last line (.style("text-anchor", "middle")) ensures that the text 'style' is such that the text is centre aligned and therefore remains nicely centred on the x,y coordinates that we send it to. The final line (.text("Date");) adds the actual text that we are going to place. That seems really simple and effective and it is. However, the bad part about it is that we have hard coded the location for the date into the code. This means if we change any of the physical aspects of the graph, we will end up having to re-calculate and edit our code. And we don't want to do that. 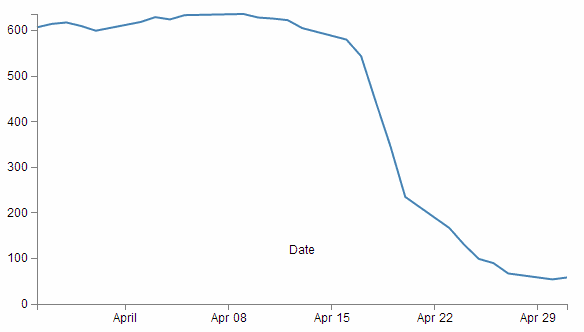 EVERYTHING about the graph has adjusted itself, except our nasty, hard coded 'Date' label. This is far from ideal and can be easily fixed by using the variables that we set up ever so carefully earlier. So with this code we tell the script that the 'Date' label will always be halfway across the width of the graph (no matter how wide it is) and at the bottom of the graph with respect to it's height and the bottom margin (remember it uses a coordinates system that increases from the top down). Well, for the label position at least :-). So the changes to using variables is just a useful lesson that variables rock and mean that you don't have to worry about your graph staying in relative shape while you change the dimensions. The astute readers amongst you will have learned this lesson very early on in your programming careers, but it's never a bad idea to make sure that users that are unfamiliar with the concept have an indicator of why it's a good idea. Now the third method that I mentioned at the start of our x axis odyssey. This is not mentioned because its any better or worse way to implement your script (The reason that I say this is because I'm not sure if it's better or worse.) but because it's sufficiently different to make it look confusing if you didn't think of it in the first place. This uses the "transform" attribute to move (translate) the point to place the 'Date' label to exactly the same spot that we've been using for the other two examples (using variables of course). The "translate” function is done in a 'translate(x,y)' style but it is put on the page in such a way that the verbatim pieces that get passed back are in speech marks and the variables are in the clear (in a manner of speaking). That's why the comma is in speech marks. Additionally, the variables are contained within plus signs. I make the assumption that this is a designator for 'areas where there is variable action going on'. The end result is that if you try to do some maths in that area with a plus sign, it does not appear to work (or at least it didn't for me). That's why I put the variable for ( + (height + margin.bottom) + ) in parenthesis (then I thought I should make the + (width / 2) + part look the same, but actually you can get away without them there). So, how do we get to this incredible result? The first thing we do is the same as for the x axis and append a test element to our canvas (svg.append("text")). Because that line rotates everything by -90 degrees. 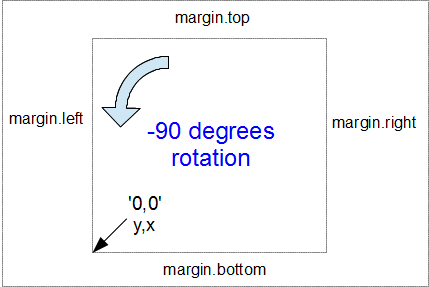 While it's obvious that the text label 'Value' has been rotated by -90 degrees (from the picture), the following lines of code show that we also rotated our reference point (which can be a little confusing). Here's our starting position, with x,y in the 0,0 coordinate of the graph drawing area surrounded by the margins. Here the 0,0 coordinate has been shifted by -90 degrees and the x,y designations are flipped so that we now need to tell the script that we're moving a 'y' coordinate when we would have otherwise been moving 'x'. … we can see that this is moving the x position to the left from the new 0 coordinate by the margin.left value. … this is actually moving the y position from the new 0 coordinate halfway up the height of the graph area. Now, I will be the first to admit that this does seem a little confusing, but here's the good part. You really don't need to understand it completely. Simply do what I did when I saw the code. Play with is a bit till you get the result you were looking for. If that means putting in some hard coded numbers and incrementing them to see which way is the new 'up'. Good! Once you work it out, then work out how to get the right variable expression in there and you're set. Right, we're not quite done yet. The following line has the effect of shifting the text slightly to the right. Firstly the reason we do this is that our previous translation of coordinates means that when we place our text label it sits exactly on the line of 0 – margin.left. But in this case that takes the text to the other side of the line, so it actually sits just outside the boundary of the overall canvas. The "dy" attribute is another coordinate adjustment move, but this time a relative adjustment and the "1em" is a unit of measure that equals exactly one unit of the currently specified text point size (http://en.wikipedia.org/wiki/Em_(typography)). So what ends up happening is that the 'Value' label gets shifted to the right by exactly the height of the text, which neatly places it exactly on the edge of the canvas. The two final lines of this part of the script are the same as for the x axis and they make sure reference point is aligned to the centre of the text (.style("text-anchor", "middle")) and then it prints the text (.text("Value");). There, that wasn't too painful. The above description (and heaps of other stuff aimed at helping those with limited understanding, but plenty of desire to play with D3) is in the D3 Tips and Tricks document that can be accessed from the main page of d3noob.org. Recently Mike Bostock recommended 'Plunker' (http://plnkr.co/) as a tool for saving work online for collaboration and sharing. Although I had a quick look, I didn't quite 'get it' and although it looked like something that I should be interested in, I (foolishly) moved on to other things. Quite frankly I should have persevered. 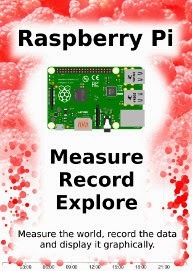 Well, in short, this gives you a place to put your graphs on the web without the hassle of needing a web server as well as allowing others to view and collaborate! There are some limitations to hosting graphs in this environment, but there's no denying that for ease of use and visibility to the outside world, it's outstanding! Time for an example. 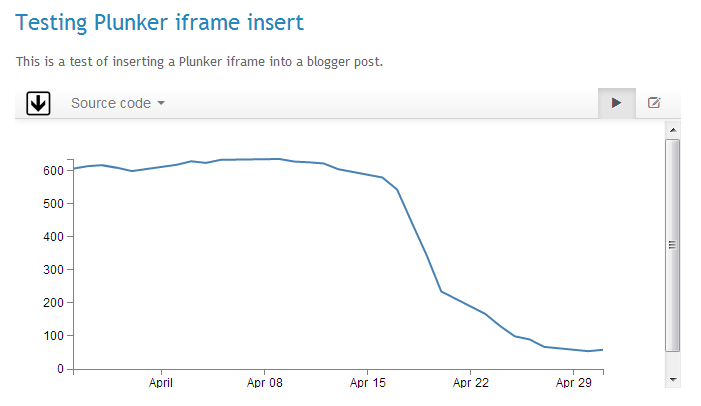 I'll try to go through the process of implementing the simple graph example on Plunker. Now, there are two important things we have to do before it will work. That will allow your plunk to use the version of d3.js that is hosted on d3js.org (it uses the minimised version (which is why it has the 'min' in it), but never fear, it's still d3, just distilled to enhance the flavour :-)). Making our data available is only slightly more difficult. In experimenting with Plunker, I found that there appears to be something 'odd' about accessing the tab separated values that we have been using thus far (in the data.tsv file), however, D3 to the rescue! We can simply use Comma Separated Values (csv) instead (I've put a copy of the data.csv file in the examples and files download at d3noob.org). So in preparation for this exercise, please edit your data.tsv file to have the tabs separating the values replaced by commas and rename it data.csv. We will host our data.csv file on plunker as well and there is built in functionality to let us do it. In the top left hand corner, beside the 'FILES' note, there is a '+NEW...' section. Clicking on this will allow you to create another file that will exist with your plunk for its use, so let's do that. This will open a dialogue box that will ask you to name your new file. Now another file has appeared under the 'Files' heading called data.csv. Click on it. This now shows us a blank file called data.csv, so now open up your data.csv file in whatever editor you're using (I don't think a spreadsheet program is going to be a good idea since I doubt that it will maintain the information in a textual form as we're wanting it to do. So it's Geany for me). Copy the contents of your local data.csv file and past it into the new plunker data.csv file. Because we're using relative addressing, and plunker stores the files for the graphing script and the data side by side, we just removed the portion of the address that told our original code to look in the 'data' directory and told it to look in the current directory. Now if you look on the right hand side of the screen, there is a little eye icon. 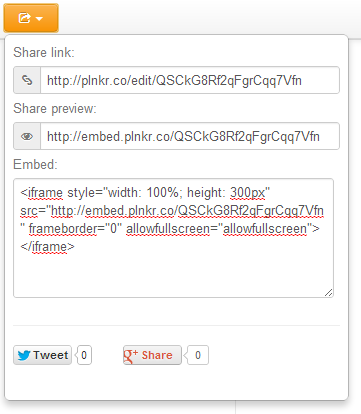 If you click on it, it opens up a preview window of your file in action and viola! If the graph doesn't appear, go through the steps outlined above and just check that the edits are made correctly. Unfortunately I haven't found a nice mechanism for troubleshooting inside Plunker yet (not like using F12 on Chrome). If you now click on the 'Save' button at the top of the screen, you will get some new button options. One of them is the orange one for showing off your work. If you click on this, it will present you with several different options. The first one is a link that will give others the option to collaborate on the script. The last will allow you to embed your graph in a separate web page somewhere. Which I've tested with blogger and seems to work really well! (see image below). So, I'm impressed, Nice work by Plunker and it's creator Geoff Goodman. 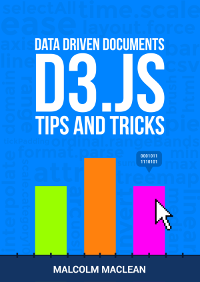 The D3 Tips and Tricks document can be accessed from the downloads page of d3noob.org. The latest version of D3 Tips and Tricks includes a minor version change which signifies that I have come to the the end of what I had anticipated to be the list of things I would describe using the simple line graph template. There are a few other sections that I would like to include on specific things that I've had a play with. But more will follow there as they crop up. The other change that I've made is to include a downloads page where I've put links to allow the downloading of some of the example files that I've been using. There's two versions of the simple line graph. One with little or no commenting and the other that is HEAVILY commented that people may find useful. Additionally, there is a zip file with the directory structure that I've been using for the examples and some of the example / data files as well. As time allows I will add to these. As the title states, the next piece of script forms and adds the canvas that D3 will then use to draw on. So what exactly does that all mean? Well D3 need to be able to have a space defined for it to draw things. And when you define the space it's going to use, you can also give the space you're going to use a name, attributes and positions within that space a designation. In the example we're using here, we are 'appending' an SVG element (a canvas that we are going to draw things on) to the '<body>' element of the HTML page. In human talk that means that on the web page and bounded by the <body> tag that we saw in the HTML part, we will have an area to draw on. That area will be 'width' plus the left and right margins wide and 'height' plus the top and bottom margins wide. We also add an element 'g' that is referenced to the top left corner of the actual graph area on the canvas. 'g' is actually a grouping element in the sense that it is normally used for grouping together several related elements. So in this case those grouped elements will have a common reference. Interesting things to note about the code. The .attr(“stuff in here”) parts are attributes of the appended elements they are part of. tells us that the 'svg' element has a "width" of width + margin.left + margin.right and the "height" of height + margin.top + margin.bottom. tells us that the element "g" has been transformed by moving(translating) to the point margin.left, margin.top. Or to the top left of the graph space proper. This way when we tell something to be drawn on our canvas, we can use the reference point "g" to make sure everything is in the right place. We're getting towards the end of our journey through the script now. The next step is to get the information from the array 'data' and to place it in a new array that consists of a set of coordinated that correspond to the points we are going to plot. Now I'm aware that the statement above may be somewhat ambiguous. You would be justified in thinking that we already had the data stored and ready to go. But that's not strictly correct. What we have is data in a raw format, we have added pieces of code that will allow the data to be adjusted for scale and range to fit in the area that we want to draw, but we haven't actually taken our raw data and adjusted it for our desired coordinates. That's what the code above does. 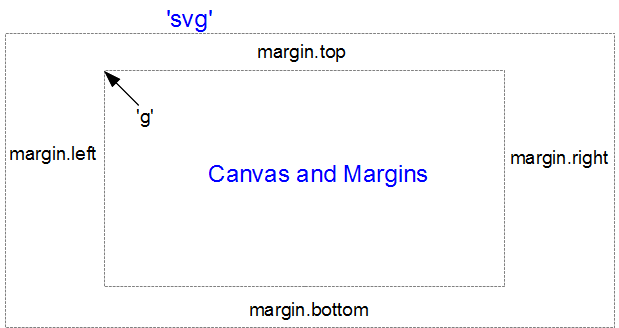 The main function that gets used here is the d3.svg.line() function. This function uses assessor functions to store the appropriate information in the right area and in the case above they use the x and y assessors (that would be the bits that are '.x' and '.y'). The d3.svg.line() function is called a 'path generator' and this is an indication that it can carry our some pretty clever things on its own accord. But in essence its job is to assign a set of coordinates in a form that can be used to draw a line. So each time this line function is called on, it will go through the data it is pointed to and it will assign coordinates to 'date' and 'close' pairs using the 'x' and 'y' functions that we set up earlier (which of course are responsible for scaling and setting the correct range / domain). Of course, it doesn't get the data all by itself, we still need to actually call the valueline function with 'data' as the source to act on. But never fear, that's coming up soon. As well as a few tidy-ups, the following have been added in version 0.1.g of D3 Tips and Tricks. As appears to be working so far, just click on the link on the left on the main page and you can download the pdf from there. Updated filling an area under a line to include filling an area above a line. Added a description of the predefined, named colours that can be used. 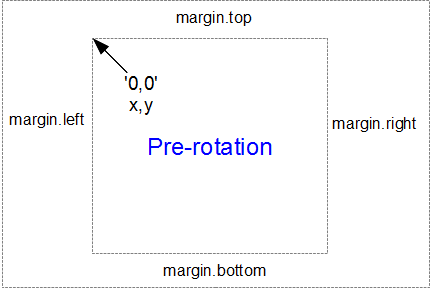 Added how to rotate text labels for an axis. Added how to implement multiple axes. Mike recently announced the latest release of D3 as major version 3.0 with a large number of enhancements. ...and Jason Davies geographic projection manipulation. The examples are fantastic and should be visited to get a feel for the different possibilities that they provide to an already awesome framework. The examples used in the D3 Tips and Tricks document already use version 3 in the code, although they certainly don't utilize anything like the complexity available :-). The following post is a portion of the D3 Tips and Tricks document which it free to download from the main page. I've included both the x and y axes because they carry out the formatting in very similar ways. And it's worth noting that this is not the point where the axes get drawn. That occurs later in the piece where the data.tsv file has been loaded as 'data'. D3 has it's own axis component that aims to take the fuss out of setting up and displaying the axes. So it includes a number of configurable options. Well, I hope you didn't see that coming, because I didn't. So, it would transpire that what we're talking about there is the orientation of the values and ticks about the axis line itself. Ahh... Ok. So, useful if your x axis is at the top of your graph, but for this one, not so useful. All right, he next part (.ticks(5)) sets the number of ticks on the axis. Hopefully you just did a quick count across the bottom of the previous graph and went “Yep, five ticks. Spot on”. Well done if you did, but there's a little bit of a sneaky trick up D3's sleeve with the number of ticks on a graph axis. 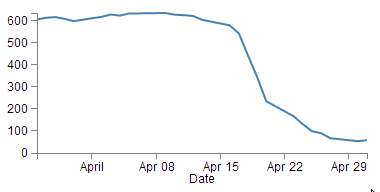 For instance, here's what the graph looks like when the .ticks(5) value is changed to .ticks(4). Eh? Hang on. Isn't that some kind of mistake? There's still five ticks. Yep sure is. But wait... we can keep dropping the ticks value till we get to two and it will still be the same. At .ticks(2) though, we finally see a change. How about that? At first glance that just doesn't seem right, then you have a bit of a think about it and you go “Hmm... When there were 5 ticks, they were separated by a week each, and that stayed that way till we got to a point where it could show a separation of a month.”. So, what's going on here is that D3 is making a command decision for you as to how your ticks should be best displayed. This is great for simple graphs and indeed for the vast majority of graphs. And like all things D3, if you really need to do something bespoke and fancy, it'll let you if you know enough. 1-, 5-, 15- and 30-second. 1-, 5-, 15- and 30-minute. 1-, 3-, 6- and 12-hour. Just for giggles have a think about what value of ticks you will need to increase to until you get D3 to show more than five ticks. Hopefully you won't sneak a glance at the following graph before you come up with the right answer. Yikes! The answer is 10! And then when it does, the number of ticks is so great that they jumble all over each other. Not looking to good there. 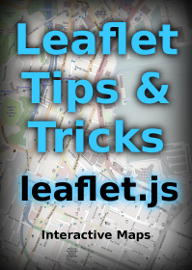 However, you could rotate the text (or perhaps slant it) and it could fit in (that must be the topic of a future how-to). You could also make the graph longer if you wanted, but of course that is probably going to create other layout problems. So think about your data and presentation as a single entity. We can change the orientation to "right" if we want, but it won't be winning any beauty prizes. Nope. Not a pretty sight. And without too much fussing around, we can lower the tick number to 4 and we get a logical result. But we need to raise the count to 10 before we get more than 6.